On arrival at Ayers Rock Airport you will be transferred to the resort (flights to arrive prior to 3.00pm). This evening view sunset and the changing colours of Uluṟu while enjoying nibbles and complimentary wine. Travel to our exclusive venue to enjoy a delicious barbecue dinner and stargazing (weather permitting). Enjoy sparkling wine on arrival and dine on a meal of steak, lamb sausages, skewered chicken, garlic prawns and a selection of fresh salads and a tasty dessert. All accompanied by a selection of wines, beers and soft drinks. 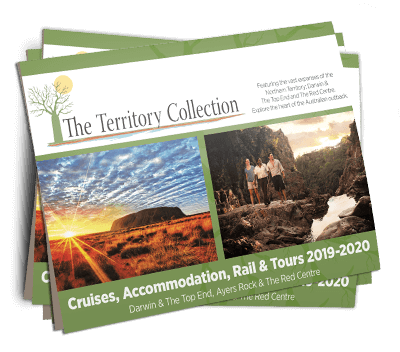 Hotel: Outback Pioneer Lodge (Budget), Outback Pioneer Hotel (Standard), Desert Gardens Hotel (Superior) or Sails in the Desert Hotel (First Class), Ayers Rock Resort, 2 nights. Rise early to watch the first rays of the sun set the Red Centre alight. After sunrise join your guide for a drive around the base of Uluṟu. Then travel by coach to the Kuniya Walk where you will be escorted to the Mutitjulu Waterhole. View Aboriginal rock art and hear about the Aboriginal and European history of the area. Visit the Uluru – Kata Tjuta Cultural Centre to see locally-made arts and crafts. This afternoon travel to Kata Tjuṯa. Enjoy a 2-3 hour walk through the domes to the Valley of the Winds (shorter walk available). Marvel at an outback sunset while enjoying complimentary wine. Drive through sand hill country towards Kings Canyon, stopping for a breakfast at Kings Creek Station. Climb to the rim of the canyon for marvellous views of Watarrka National Park (for those with a good level of fitness). Continue the 3 hour walk around the canyon with your guide and learn about its geology. Alternatively, enjoy a more leisurely 1½ hour walk along the boulder-strewn canyon floor. This afternoon travel on to Alice Springs.